Oxford & Cambridge Summer Academy is an exclusive study abroad program that offers high school students between the ages of 14 and 19 an exceptional opportunity to gain experience studying at world-renowned universities. Participants spend a minimum of two weeks in Oxford or Cambridge, residing in colleges at the universities. They can also extend their stay to join two programs for a total of 4, 6, or even 8 weeks. For more information, please scroll down to read more on the Oxford and Cambridge Summer Academy. This program will give participants the opportunity to familiarize themselves with the traditional British university environment. More than 30 hours of classroom and workshop time will be included in each session. 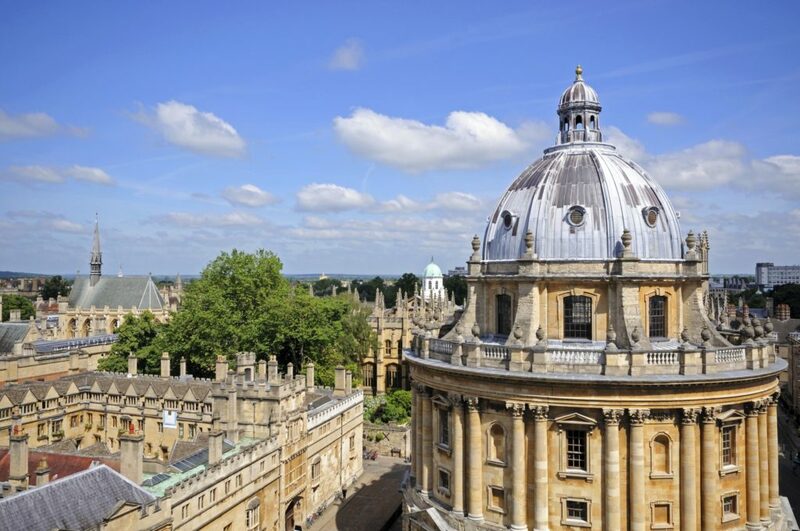 In Oxford, as well as Cambridge, students will participate in lectures and seminars to learn more about various subjects that are offered at universities. The following elective courses are available at Oxford: Economics, Law, PPE (Philosophy, Politics and Economics), and Natural Science. In Cambridge, students can choose from the following courses: Business & Management, International Politics, International Organizations, and History. High school students will also gain a better understanding of the variety of subjects offered when applying for university admission, as well as learn about the university application process. In addition, students work on personal statements and admission interviews. CBL International, Oriel College, and all involved colleges are composing a strong team of faculty members including professors, university lecturers, university researchers, college tutors, and DPhil candidates from the University of Oxford (UK) and the University of Cambridge (UK) to teach your courses. In the meantime, some teachers and lecturers will also be invited from other prestigious universities such as the London School of Economics and University of California, Berkeley, and other selected institutions. Oxford & Cambridge Summer Academy offered coordinated excursions and cultural activities, which are all included in the program. These educational and fun outings increase students’ appreciation and understanding of local culture and engage them in the British way of life. Thank you for your interest in our WorldStrides Oxford and Cambridge Summer Academy Tour! Please tell us a little more about yourself so we can get you sent to the right place.